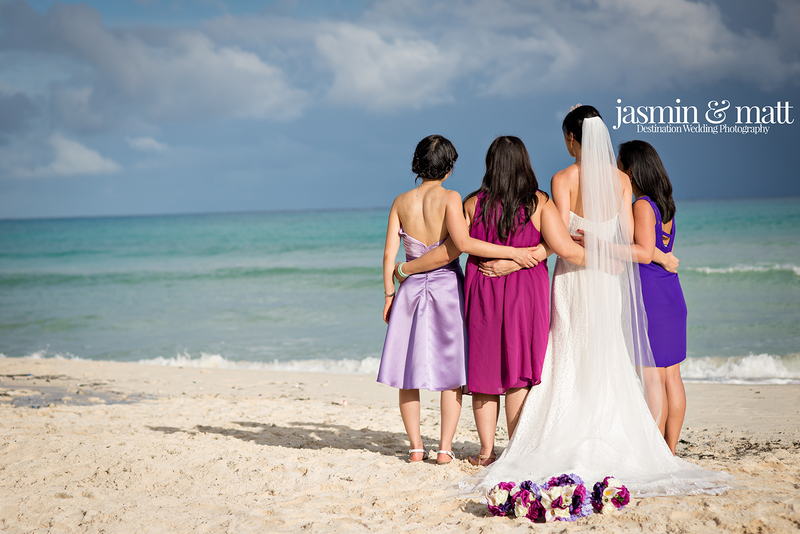 We organized a beautiful beach destination wedding for this couple which took place in Playa Car, slightly south of Playa Del Carmen on a clear, blue skies day. 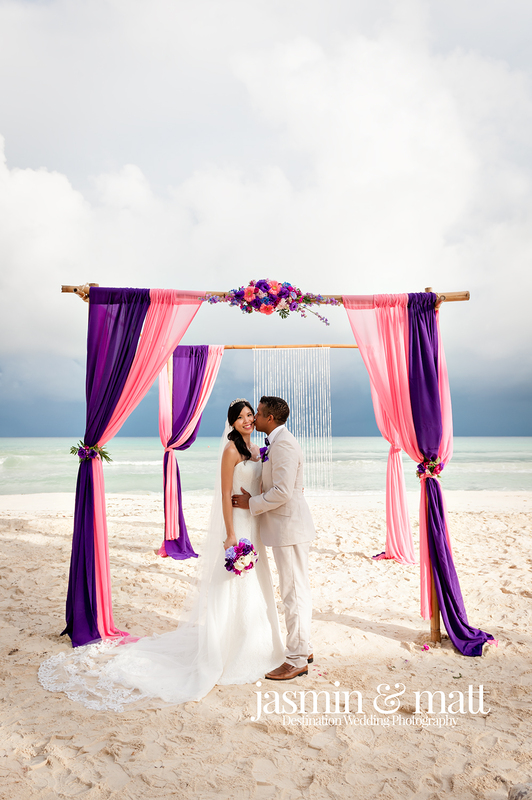 Intimate beach weddings are something we can never get enough of! 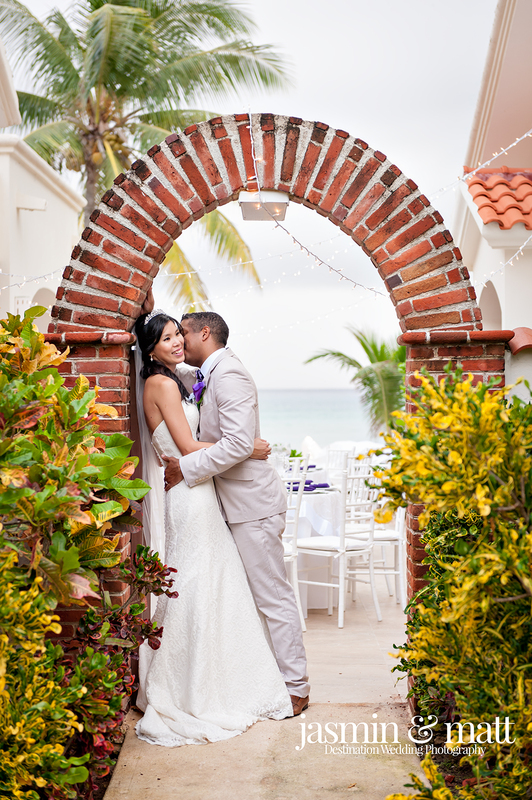 And this is exactly what Annie and Phil wished for upon contacting the team here at Mango Weddings. 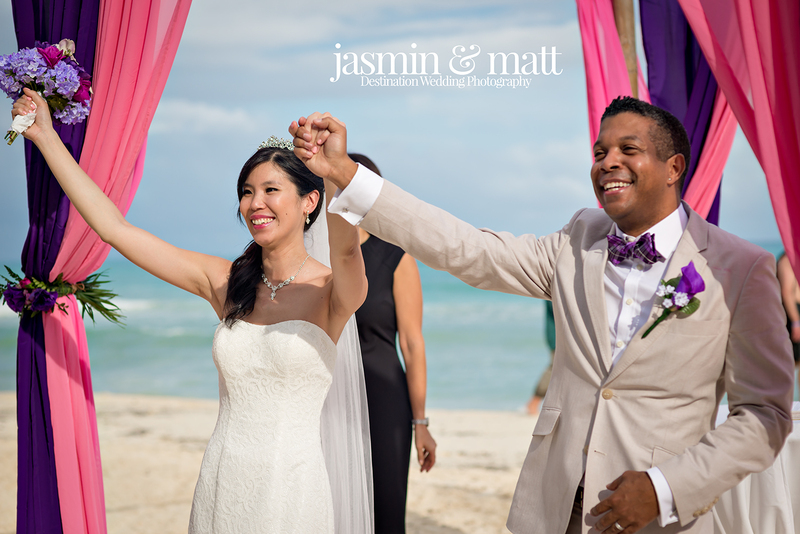 We organized a beautiful beach destination wedding for this couple which took place in Playacar, slightly south of Playa Del Carmen on a clear, blue skies day. 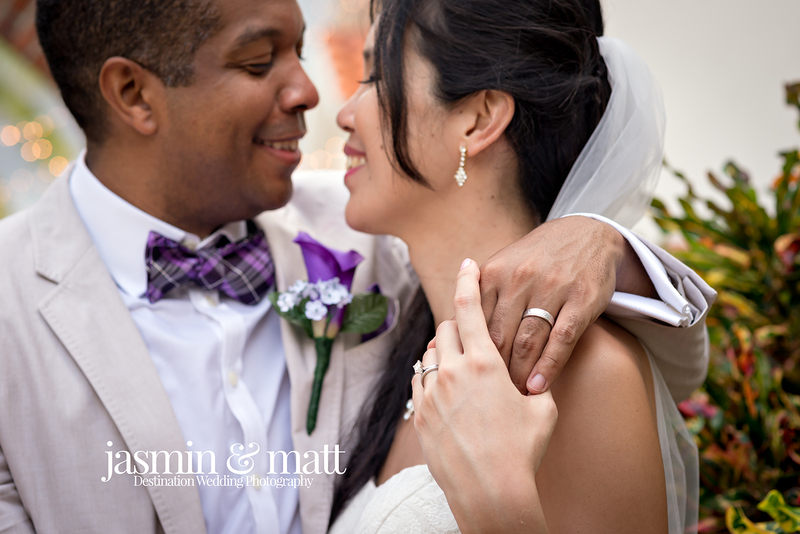 Throughout their special day, Annie and Phil radiated happiness and love for each other, which was enjoyed by their close friends and family that attended. 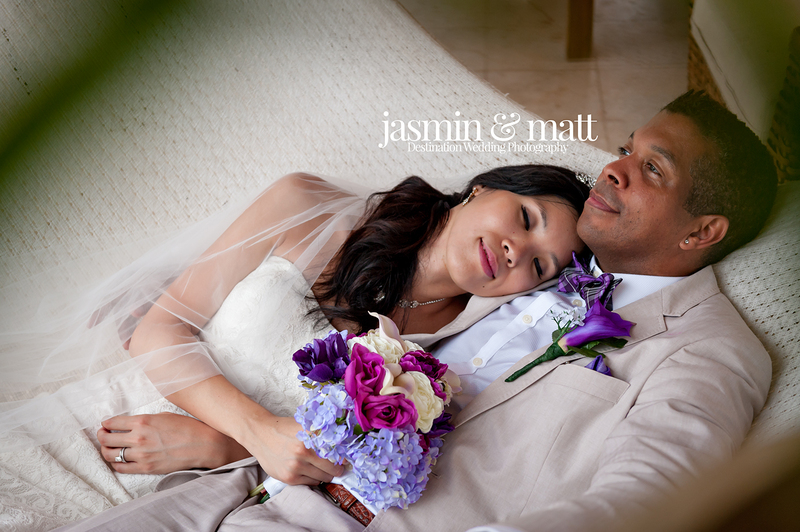 The beautifully put together bridal bouquet, a mix of violets, pinks and light blue’s flowed in the ocean breeze as did Annie’s stunning bridal gown and veil. 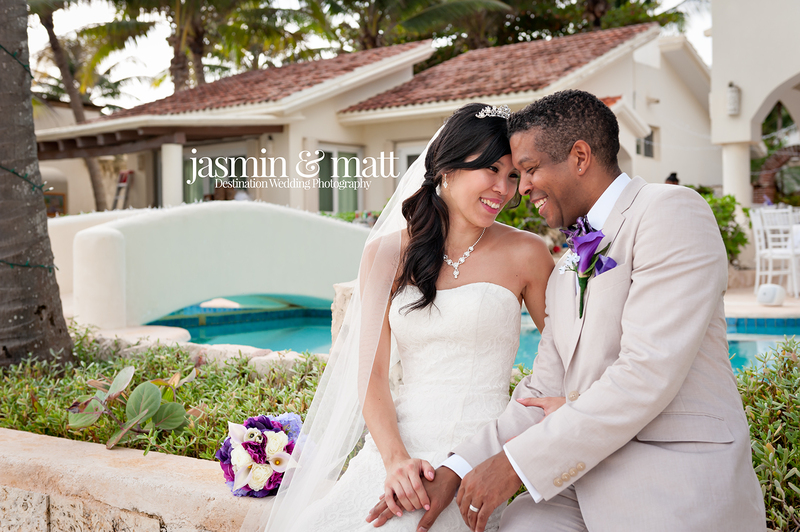 A private villa in Playacar was hired, along with a private chef, giving the wedding a really exclusive feeling. 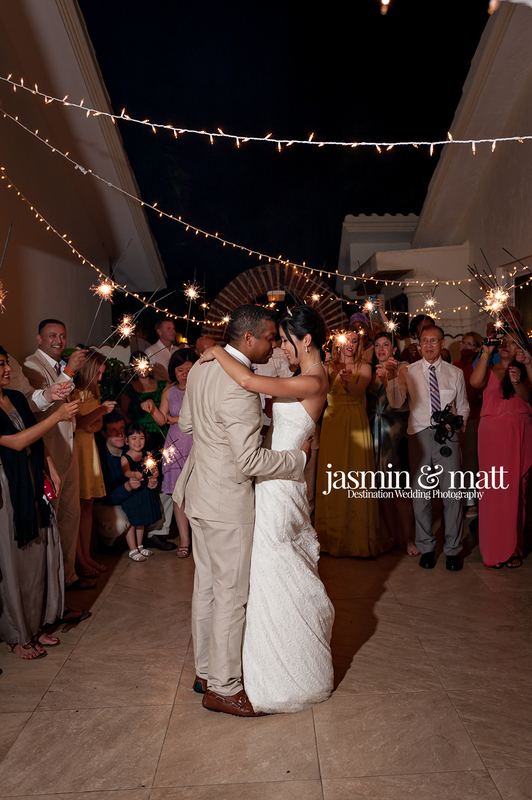 Photographers Jasmin and Matt where on hand capturing each element of the day, up until the evening came to an end with a sparkler and twinkle light infested first dance. 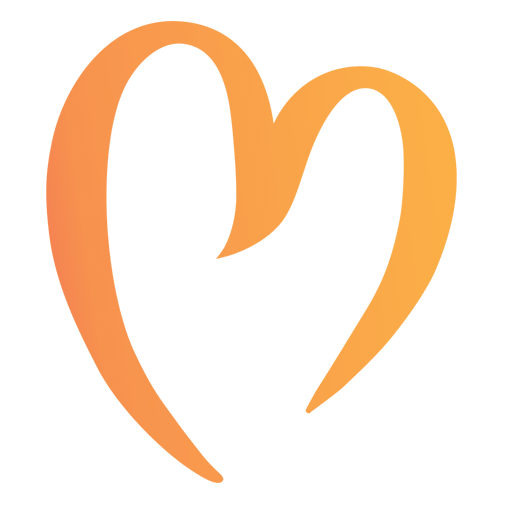 This truly was an elegant celebration of the love the couple have for each other and we wish them a lifetime of happiness.